Seller will give you a gift certificate in the amount of 109,95 RUB for a positive review of the product purchased. After several years devoted to well-known series such as Dragon Age and Mass Effect, Bioware presents the ambitious Anthem, an action sci-fi video game with RPG mechanics. Dive into a primitive and shared world to face various dangers that will make you stronger at every step. Anthem is a game with a strong RPG flavor that is presented as a shared world full of wild beasts and dangerous dwellers. Even with co-operative mode available for four players, Anthem doesn’t forget the lone wolves offering them the possibility of obtaining many rewards. Enjoy enormous possibilities of your character personalization during an amazing adventure. Experience the constant change of perspective! Incarnate as a Freelancer and play with subjective perspective to buy arsenal or relate to NPC. Anthem is a game developed by Bioware that allows cooperative play of up to four players and presents a world in constant evolution. The game features huge enemies, an absolutely wonderful environment and, of course, the impressive Javelins. The world of Anthem changes constantly: as you play, it will never cease to surprise you and offer new challenges! The Anthem is an RPG that takes place in an open world. It gives all players the same playing conditions. Encounter four "Javelins" fighting against an old enemy. You can use the one you want between missions. The mighty rangers are made for combat. You can customize them as you wish to become more powerful. The game mechanics are mainly focused on completing missions with a team of 4 people. Experience sophisticated Javelins during various combat situations and admire fast action in the third person camera. Use your high-tech suit to fly through different environments and confront dangerous enemies while completing missions, either alone or with other players. Marvel at stunning environments and enjoy a world designed in detail. 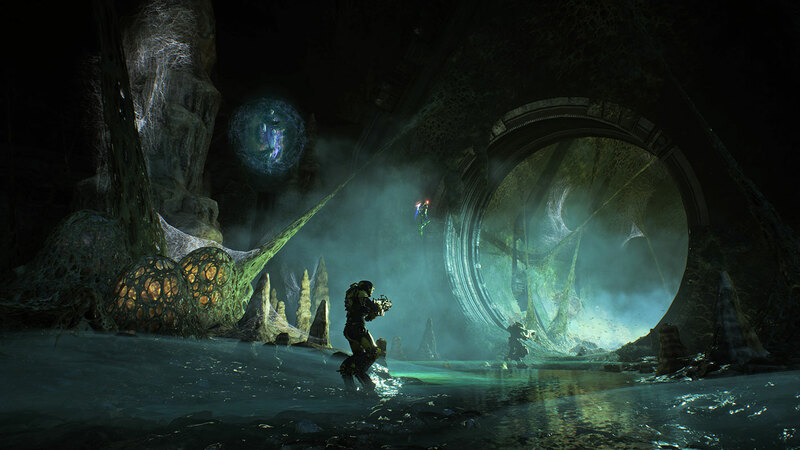 Anthem looks incredible and it features a truly continuous flourishing world filled with wildlife, dynamic elements like weather, underwater travel, and a huge vertical scale to exploration. Anthem runs at 4K resolution and it features screen motion blur, huge levels of foliage physics and expansive levels. The release date of Anthem is scheduled for February 22, 2019, for PS4, Xbox One, and PC. Remember to make sure you are buying a version appropriate for your platform of choice. This content was copied from https://www.g2a.com/anthem-origin-key-global-i10000068306001. It is protected by copyright, all rights reserved. If you want to use it, you are obligated to leave the link to the original source. Seller will give you a gift certificate in the amount of 109,95 RUB for a positive review of the product purchased..